Your Next Stamp Mini December Release Hop! Hello and welcome to the Your Next Stamp December New Release Blog Hop! 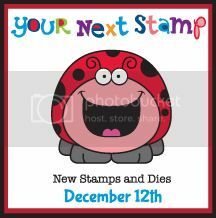 We have a mini release for you this month featuring a new stamp collection from Cory Designs called Smiley Happy Critters! The first set is SO CUTE and guaranteed to make you smile! We also have a new die collection called YNS Whatnots! YNS Whatnots Seasons Set One is jam packed full of small seasonal dies which are awesome for dressing up your cards and tags! Both of these products are available NOW in the Your Next Stamp Store! Warning…both of these collections are highly addictive so be sure to start your collection now as we have lots more coming in 2013! 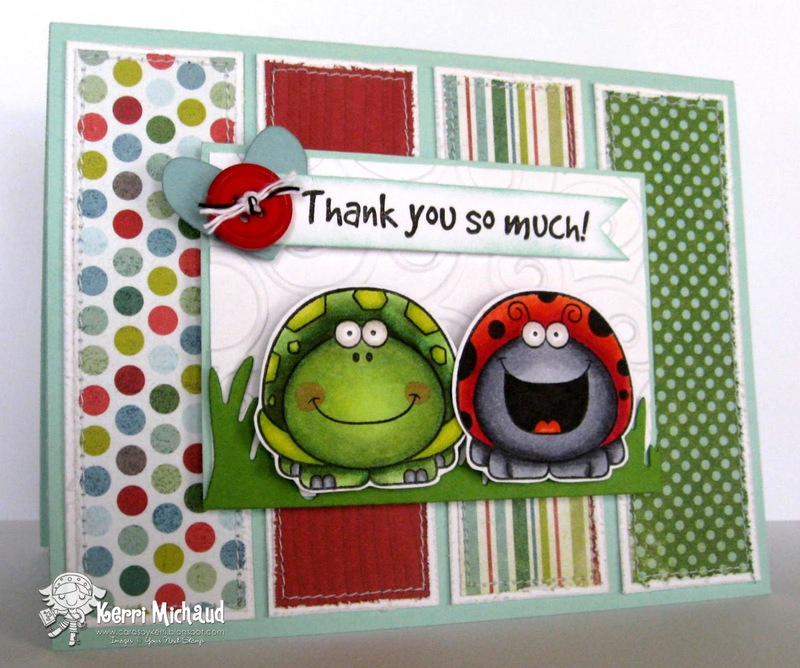 I used two of the new critters~Dot the Ladybug, and Pokey the Turtle~Love!!! I also used a heart die from the YNS Whatnots Seasons Set One along with the YNS Flower Fun Spring Grass Die. We also have a Hop Special going on at the YNS Store! Enter code YNSDEC2012 to receive 15% off your entire order!!! Gaaa!!! They make SUCH a CUTE COUPLE!!!! :) SO cute Kerri!!!! What a great hop so far, everytime I open one of your lovely blogs and see these critters, it puts a smile on my face, they are just TOO adorable!! Lovely coloring! They are so cute.. and a great card!! 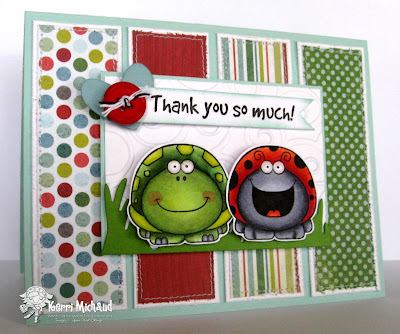 Love the critters and the fabulous fun papers you used. Very fun and cheerful card! This is so cute! Your coloring is absolutely amazing! Awww, they are a cute pair! The grass is perfect too. Oh my goodness Kerri. This is the cutest card. Love the paper you used. Such a cute card. These critters are so adorable. I love everything about this card. Beautifully done. So cute. Love the coloring. You did an awesome job. Which I could color blend like that. Really sweet card love those two images. Darling and colored great. Love the papers you used also. Sweet happy card. I officially will have to get these sets now - they are just TOO CUTE! FAbulous coloring and fun papers. wow - every time i see those stamps i love them more and more!! Very cute card...love the two critters together and the fun colours. So cute ~ the perfect little critters. Wow - great colors and patterns on your card. Sweet couple that cute and colorful.